Get your prospect's attention by working with us to create brilliant, vivid envelopes for your direct mail, marketing, and business communications projects. We can design and print envelopes of all sizes and formats ranging from basic black and white to impressive colorful designs. We can also create a corporate identity package for you, with an integrated system of business cards, letterhead, and envelopes. 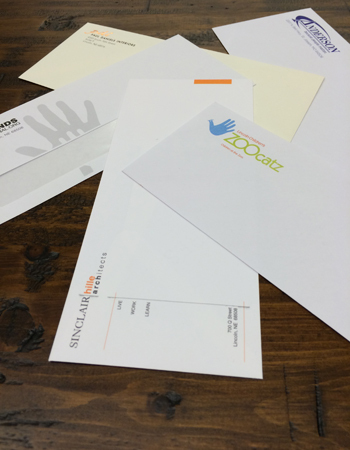 With these envelopes carrying your message to prospects and customers, you're sure to get noticed! Need stock envelopes? Regular or window, we have them.